Our Style, But Where Are We?? So a little while ago, I got a DM on instagram from a lovely lady named Angel King who was inquiring about how to be featured on the blog. She is an upcoming designer in the DMV and is looking to get her name and brand out. Now I jumped at the request because she is the FIRST person to reach out to me and suggest a topic, therefore October on the blog will be showcasing and celebrating brown Female Designers! While thinking about the types of questions for this set of features, I realized how necessary this theme was, especially considering the numerous fashion weeks taking place across the globe during this time of year. 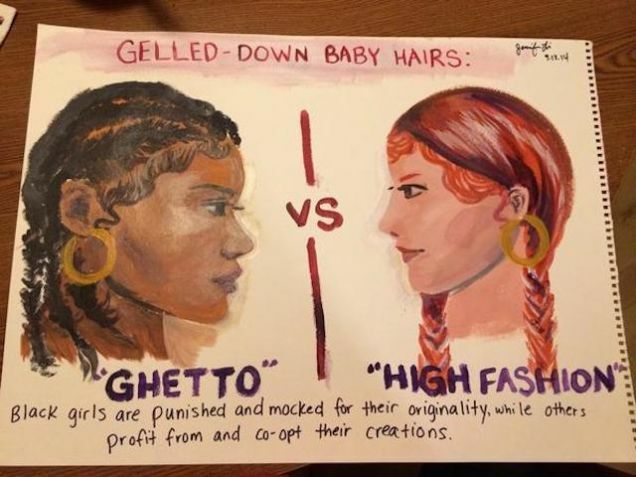 I’ve been noticing a lot of people commenting on how (once again) many components of black culture are being adopted into the fashion industry. For example, all of sudden baby hair, durags and head wraps are in style on the runway. What may seem to be “new” accessories or hair styles to some, these trends have been a part of black hair culture for decades. But all of a sudden they are now high fashion and deemed “urban fabulous” because they’ve been attached to white bodies. It never ceases to amaze me how much of our culture is appropriated without due credit, representation or respect. How many black fashion designers do we see during the fashion weeks in New York and Paris? How many black contestants are included on tv shows like Project Runway? But our styles and concepts are quick to be copied, rebranded and resold while we are excluded. So in an attempt to increase visibility and appreciated for black female designers, the features for this month are of women trying to make a name for themselves in fashion; to share their stories, designs and passion. As always, to be featured or to suggest a topic, feel free to email me at raven.best5@gmail.com! Remember to follow The Free Your Mind Project on Instagram @fymproject and like The Free Your Mind Project on Facebook. Hello Raven, Yup! I keep on wondering why Dancing with the Stars is based upon African-American and Latino dances (only one or two European-based styles)- but none of the professional dancers with the stars or in the ensembles are Latino, Black or of color. I love the show because they always pick contestants I admire, but I think it’s getting about that time for me to stop; it’s disturbing to see our artforms being used for entertainment with not one person of color regularly employed or exposed from it. Exactly! I love prime time TV but it’s hard watching shows season after season where you might have 1 or 2 token people of color! And, they show smart and educated Black women– but only sleeping with white men, and not one best black girlfriend or woman anywhere else! Even on Blackish, the sister who has a black man is half-white! Nothing, nothing, nothing has changed but that baby hair thing has been irking me for far too long…gosh. Ohhh a discussion on the word aesthetic and black models would be interesting! I saw a woman being quoted with saying it’s a borderline racist word in the modeling world. I saw this on tumblr I forgot the woman’s name but I love this theme. Would you like to contribute a piece on your opinion of the fashion industry? ?